In his long career he played with his projects in many prestigious festivals and stages around the world. He played and recorded with great musicians: the master of Argentinian bandoneon Dino Saluzzi, the Italian trumpeter Enrico Rava, the bassist Miroslav Vitous,Mulatu Astatke icon of Ethiopian jazz, Sajnkho Namtchylak ancestral voice of Tuva, the trumpeter Lester Bowie, the Art Ensemble of Chicago, the Metropole Orkest, the saxophonist Dave Liebman, the Brazilian guitarist Guinga, the pianist Omar Sosa, Jan Bang, Eivind Aarset, Django Bates and other great musicians such as Paolo Vinaccia, Daniele Di Bonaventura, Danilo Gallo, Tenores di Bitti and Tenores di Orosei (megalithic voices of Sardinia), singer Dudu Manhenga, Hope Masike, Ivan Mazuze, the Scottish musicians Colin Steele and Dave Milligan and many others. Currently he has 16 cd active. He is also author of “sound landscapes” performances for museums and exhibitions, movie’s soundtracks. On 2017 JazzIT Awards he was nominated among the best 3 Italian jazz soprano players. Favata is also the artistic director of the International Jazz Festival MUSICA SULLE BOCCHE, which has been held for 17 years in Santa Teresa Gallura (Sardinia) and is one of the most famous events of the Italian jazz scene, characterized both for its ever-innovative program as well as its sensitivity to the topics such as the environment and the landscape. 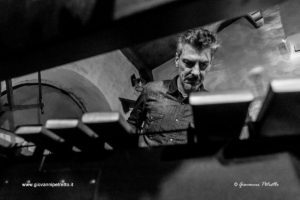 Pasquale Mirra is considered one of the most engaging and active vibraphonist of the actual national and international musical scene. He boasts several engagements with musicians like Hamid Drake, with whom collaborates on different projects both in America and Europe. In 2005 he became member of the association Bassesfere, a musician’s collective involved in developing and spreading improvised music. He worked together with the band Mop Mop and he took part at the creation of the soundtracks of the movie “To Rome with Love”, directed by Woody Allen. 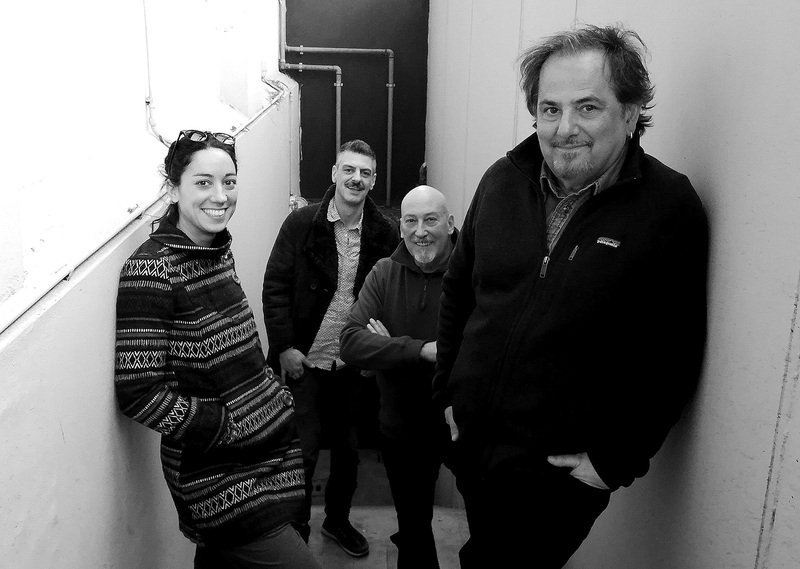 Nominated best italian vibraphonist by the specialised magazine JazzIT since 2014 to 2019, among the best musicians in 2014 and 2015 by the magazine Musica Jazz. He recorded more than 40 albums and collaborated with musicians such us Michel Portal, William Parker, Ballakè Sissoko, Fred Frith, Zeena Parkins, Nicole Mitchell, Rob Mazurek, Butch Morris, Chad Taylor, Hank Roberts, Ernst Rjisenger, Tristan Honsinger, Samba Tourè, Jeff Parker and many more. Sounds, images, unexpected scenes that enrich each new production of Rosa Brunello always bring the ability to enjoy nature and art. The spiral search for sound is not intended to change, on the contrary, it is to avoid moving away from beautiful things, from blue skies, from clouds and dew. She released 3 albums in her name for the international label Cam Jazz. 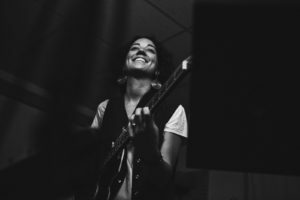 Her activity as a bassist led her to play and collaborate with numerous musicians, including: Kelvin Scholar, Maurice Louca, Yazz Ahmed, Francesco Bearzatti, Pietro Tonolo, Jure Pukl, Giovanni Guidi, Mederic Collignon, Enrico Terragnoli, Zeno De Rossi, Tommaso Cappellato, Elena Camerin Young, Alessia Obino, Camilla Battaglia, Enzo Carniel, Attila Gyarfas, Stefano Tamborrino, Piero Bittolo Bon, Alfonso Santimone, Marco Iacampo, Peace Diouf, Moulaye Niang, Mark Pringle, Aaron Castrillo. She has performed throughout Italy and Austria, Switzerland, Germany, England, Spain, France, Belgium, Poland, Slovenia, Croatia, Serbia and Holland. 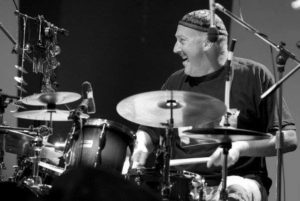 Drummer, percussionist and composer, he has approached jazz in 1978. 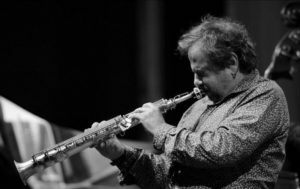 For eight years he has been a member of Enrico Rava’s quintet “Electric Five”, touring in Italy and Europe, as well as Canada and Japan. He has recorded several music projects for the German label ECM. Moreover, he collaborated on the composition of theater videos and soundtracks. He has also his own records, some of which dedicated to the Weather Report.